The MO290-EP is an Extension Moisture Probe with dual sharp pins. Pins measure 0.75 in. (8.5cm) long. 30 in. cable length. Moisture Probe can be used with MO290-EXT probe extenders to increase the working distance of the probe up to 23 in. when 2 extenders are combined together. 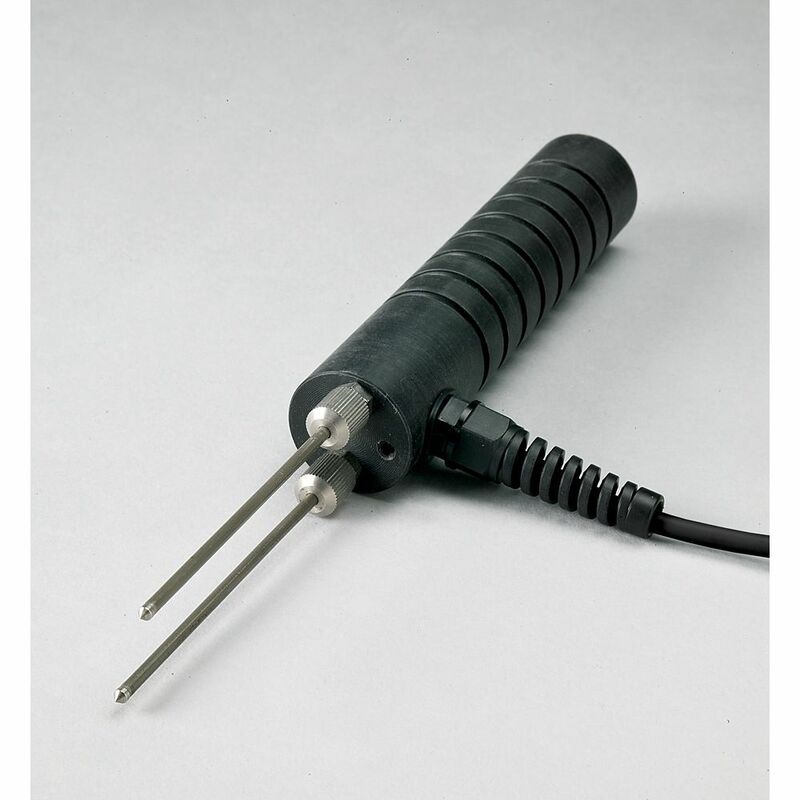 Extension Moisture Probe The MO290-EP is an Extension Moisture Probe with dual sharp pins. Pins measure 0.75 in. (8.5cm) long. 30 in. cable length. Moisture Probe can be used with MO290-EXT probe extenders to increase the working distance of the probe up to 23 in. when 2 extenders are combined together.